Still haven’t hit 30C! Solar show tonight? No it looks like Crystal is going to have the best chance at it though we’re not forecast to go more than 31C which hasn’t got us over before so who knows! It seems the wind has kept us a little cooler. Whatever the temperature it’s been beautiful! 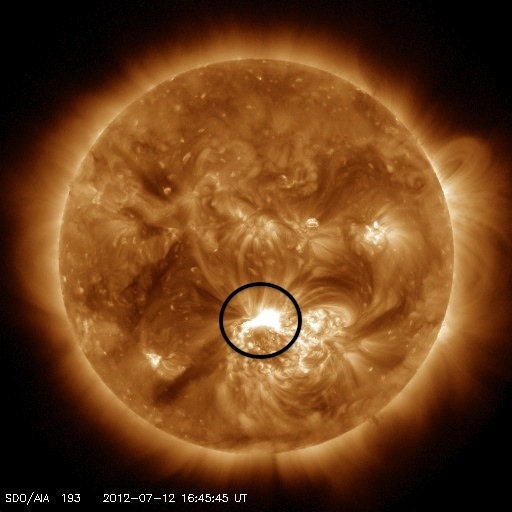 In other news… the sun burped yesterday and sent out am X class solar flare. The folks at http://www.spaceweather.com say the Earths Magnetic field got rattled by the shockwave this afternoon and there is a chance of low-latitude aurora tonight. So who knows, if you’re up late tonight look towards Comox Glacier and you might be lucky! More summer weather through the next week! A few clouds possible here and there but nothing serious! Loving it! Next WE HAVE A WINNER! — SUMMER HEAT CONTEST 2012 – When Will we hit 30C?